Using a knowledgeable and helpful travel agent can take the stress out of planning a Royal Caribbean cruise vacation, which can be a complicated and overwhelming task for the first-timer. As a Royal Caribbean veteran, it is easy to forget the common questions and concerns those new to cruising and/or Royal Caribbean struggle with, such as what the difference is between the ships, leveraging discounts, what stateroom to book and more. It is because of these sort of questions (and a whole lot more) why there is serious value in using a travel agent. 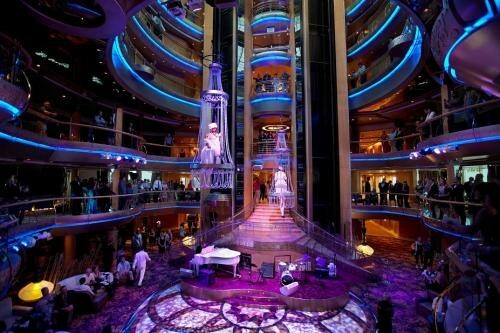 The first and biggest reason to use a travel partner in planning your Royal Caribbean cruise is the service. Imagine having someone with a wealth of knowledge about Royal Caribbean that can help you with your particular circumstances, preferences, and needs.That’s what a good travel agent provides. It’s a back-and-forth dialogue, and they’re there to hold your hand and give you personalized advice. Travel agents that specialize in Royal Caribbean are often fans of the cruise line too and enjoy planning their own trips and want to share their knowledge with others. When you seek out a travel agent, an agent with great knowledge of Royal Caribbean is critical to helping you have a better cruise experience. Royal Caribbean has spent an incredible amount of time and resources to help educate agents in what Royal Caribbean offers and it all ends up benefiting you. Given these folks' experience with the brand, that translates to guests as having someone "in their corner" that can provide advice and firsthand knowledge of the destinations they are helping to book. Not only that, they are the ones that sit on hold with Royal Caribbean so you do not have to, and they are the ones constantly comparing new promotions to see which benefit you the most. Beyond that, there is no cost to you. A good travel agent is paid commission by Royal Caribbean on the cruises they book, so you are not paying anything extra. It is really a win-win scenario for everyone: you get great service, Royal Caribbean books another cruise and the agent gets paid by the cruise line. Arguably, the biggest "winner" is you. You have one contact who gets to know you, is responsive to your requests & questions, and feels a vested interest in making sure you have a great trip. You don’t call Royal Caribbean, wait on hold for an interminable amount of time, and have to deal with any of the footwork of booking it on your own. This is especially important in today's world of cruising, where you have specialty dining reservations, shore excursions, WOWbands and more. 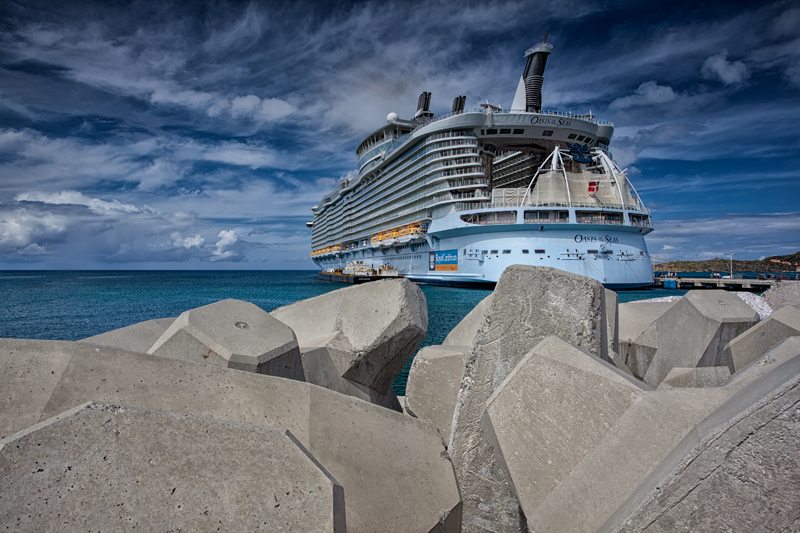 Your travel agent is a liaison between you and Royal Caribbean, putting out fires and fixing problems that may arise. They save you headaches and stress in solving these problems because they are your buffer between all of that. With all of that said, some folks argue they prefer to have total control over their vacations or simply enjoy spending hours reading blogs like this one (and thank you to those of you cannot get enough of this sort of content). Even if you are someone that prefers to "do it all" on your own, it might make sense to book through a travel agent so that they can monitor discounts and be your aide in case a situation should arrive, while you can focus on the "fun" stuff, like researching excursions and booking specialty dining. Most vacation planners are as hands on or off as you specify, and it’s pretty easy to let them know what expect of them and what you’d like to do yourself. The other important truth about travel agents is they will find you the same prices as you can on your own. In fact, travel agents are more likely to save you money compared to doing it on your own. Travel agents not only have access to the same fares you can see on Royal Caribbean's web site, but they may also have access to group cruise rates within their agency network, or be able to offer you other booking promotions in addition to what Royal Caribbean offers. These days, we are all trying to save money so we have more of it to spend on another vacation (or maybe just more money to spend onboard). What I love about using a travel agent is they price out various promotions Royal Caribbean offers and then tell me what is the best option. I especially enjoy when I get up in the morning and check my email to find a message that the latest promotion has already been applied by my travel agent and I saved some money. It is that kind of hustle, knowledge and trust that really makes using a travel agent a no-brainer for me. If you are convinced that a travel agent is the right choice for you, then there are a few things to consider when choosing one. First, you should contact a couple of agencies with some general inquiries to find one that you can "connect" with. Specifically, you want to find someone that understands what you are interested in, is knowledgeable and responds to your needs. It should be pretty easy to tell based on their first email or two whether they’re someone you want to work with, but if you’re still unsure, request a quick phone call. You are trusting this person with your vacation and (potentially) will communicate with them a lot, so you should make sure they aren’t impersonal or will treat you like a number. This is typically a total non-issue, as most travel agents I have encountered are incredibly pleasant and enthusiastic, but it’s good to double-check if things don’t seem right from the get-go. Second, you will want to make sure they are providing the level of service we mentioned in this post. Figure out which aspects of the cruise vacation planning process are most important to you and ensure those are things they do. Not all agencies offer the same services, so be sure the one you are considering will help you in the areas you would like assistance. Finally, they have to know their stuff. Ask them questions about their own experience to understand how well they know the brand. They do not have to have cruised on every Royal Caribbean ship (not even I have done that), but you want them to know their stuff. 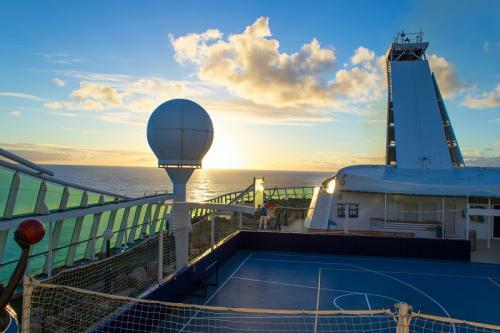 If you’ve used an travel agent to book a Royal Caribbean cruise, how was your experience? Any other tips you’d like for choosing a travel agent? Share your thoughts and questions in the comments below!